When the country’s first bicycling craze swept the South in the 1890s, a Richmond businessman and philanthropist opened a 9-acre cycling club in Henrico County, just outside the city. He died a few years later, in 1897, but with its cycling paths and club house, the Lakeside Wheel Club continued to be a gathering place for local cyclists until it closed in 1910. Until her death in 1926, Arents gradually bought surrounding parcels of land so that the property grew to seventy-two acres. In Arents’ will, she left this Henrico County property to the City of Richmond, with the stipulation that the city establish a botanical garden there in memory of her uncle. The will also stated, however, that Mary Garland Smith could continue to live there until she either died or decided to move. The city accepted the terms of the will in 1927, and Miss Smith ended up living to the age of 100 at Bloemendaal. 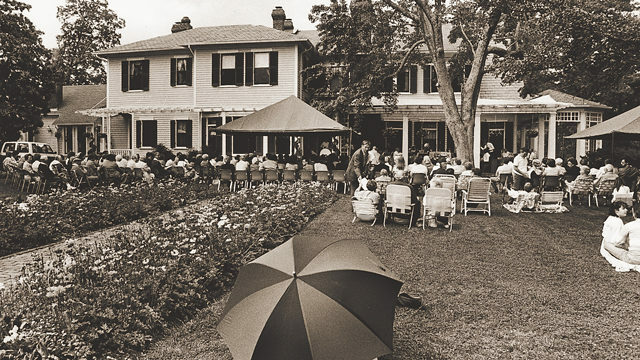 Upon Miss Smith’s death in 1968, the city was legally bound to finally take over the estate and establish the garden, though officials claimed that Arents’ trust fund for the establishment and care of the garden was now insufficient. The size and location presented financial obstacles, and the city suggested using Arents’ funds to establish the memorial garden at Maymont. For years, the city avoided the issue and used Bloemendaal to grow trees, shrubs, and flowers for the area’s city parks. Decades later, in 1980, Arents’ heirs sued to force the issue. Their legal victory paved the way for the public botanical garden, which opened in 1984, is still in operation today, and was recently named one of the best botanical gardens in the country by USA Today. Next articleWho Can End Chronic Hunger?